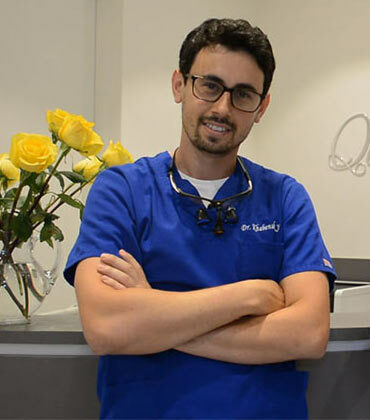 Brooklyn dentist Igor Khabensky is a compassionate and dedicated general and cosmetic dentist serving the Brooklyn community. Dr. Khabensky received his dental degree after attending New York University and completed his residency in general dentistry at Woodhull Medical Center. He is highly experienced and competent in all areas of family dentistry such as pediatrics, tooth extractions, implants, and cosmetic dentistry. Dr. Khabensky of Family Cosmetic & Implant Dentistry is affiliated with Woodhull Medical and Mental Health Center in Brooklyn, NY. Dr. Khabensky is multilingual in English, Spanish, and Russian, and his awareness of these different languages makes him more accessible to patients in Brooklyn from a variety of cultural backgrounds. Dentist in Brooklyn, Dr. Khabensky’s top priority is to provide his patients with thorough treatment planning and fantastic bedside manner. Our Family Cosmetic & Implant Dentistry of Brooklyn is proud to offer our patients only the most revolutionary technology available in dentistry today: the Waterlase MD™ Dental Laser.